I am in love with Naruko! Before my review, you may read my haul here (and here), and how the folded boxes look like here. I have incorporated a few items into my daily routine, if you're interested, just go refer to my "Skin Care Weekly Journal" (it is updated rather slowly due to my unavailability to take pictures of the pile that I use weekly..).. Out of the many things I have bought and started using, the Rose Serum - let's keep the name short and sweet - is my current top favourite and I have literally drink up the whole bottle within a month. I figure it may be helpful for those who don't read Chinese to have some English material to refer to, hence I share my 2 cents. I'm on my 2nd bottle now! 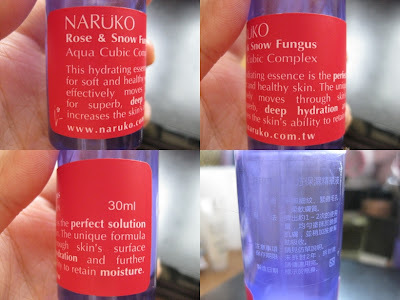 Rose n Snow Fungus Auqa Cubic Complex is Suitable for all skin types, especially dry, dehydrated skin. It provides in-depth hydrating and long-lasting moisture, resulting in smooth fine lines, tighten pores and soften skin. Rose & Snow Fungus Auqa Cubic Complex helps to keep skin healthy, tender and translucent. Application: After using moisturizer, squeeze 1 to 2 drops (jacq: not pumps!? ), apply gently, and massage on face. PACKAGING : 2/5 - I don't like their dropper design. 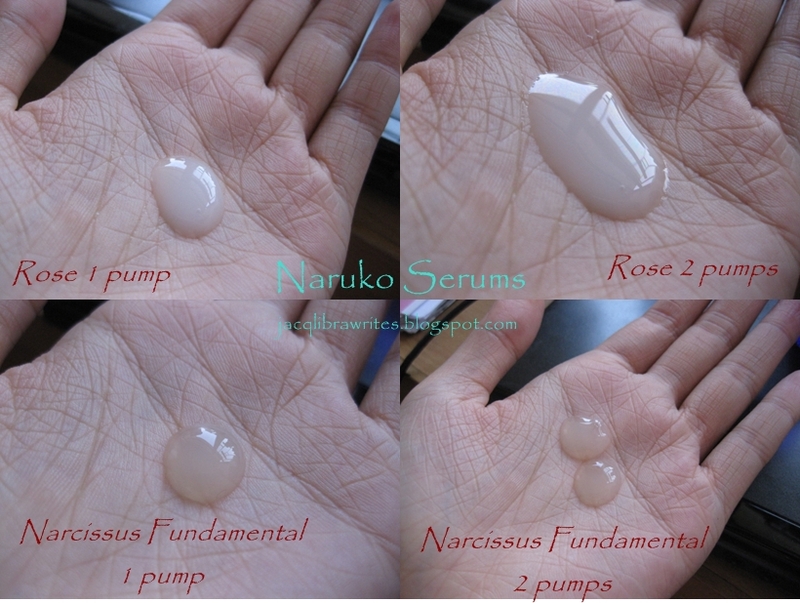 PRICE: 4/5 - hk$140/30ml not the cheapest but reasonable. For application, I use this regularly after toner/moisturizer and before my cream/night gelly/sunscreen. It can be used day and/or night, and 1 pump is enough for oily to normal skin. As my skin is dry and pretty dehydrated for this time of the year, hence I usually use a generous two pumps and gently massage it in. The texture is very smooth and not heavy, while it glides on my skin, it plumps up my skin and leaves it moisturized and shining. kindly excuse my deadly-dry looking palm. Overall Rating: 21/25 - low mark because of the packaging! Recommend? Yes definitely :D If you like roses or you need hydration - who doesn't? How do you find my review style? Please give me feedbacks~ I am trying to be organised when I write-up reviews. Thanks in advance!